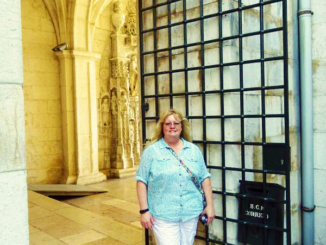 Our tour began on a sunny 90-degree day departing from the port of Lisbon, Portugal at 10:45 am. 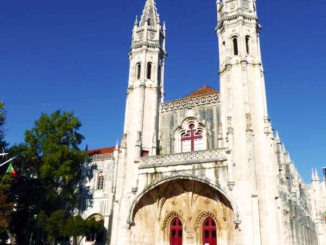 Today’s excursion is the Lisbon, Sintra and Cascais Small Group tour offered by Royal Caribbean shore excursions. We ended up in the second transport consisting of 17 passengers. 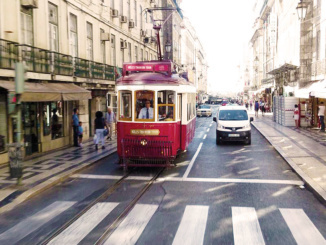 Driving through Lisbon, there are many fascinating components of the old city to look at, like the trams and hillside inclines. 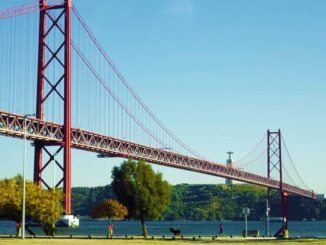 We rapidly crossed over the river Tagus in-route to our destination. Sitting on the left side of the bus gives the finest views while traveling. 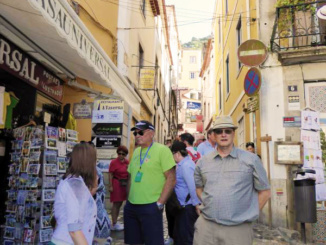 The guide shared historical facts about the region incorporating the 1755 earthquake that practically wiped out the entire city. We further heard that venerable nobles built homes in the lower parts of the town because of the generally hilly landscape and the excessive cost of construction. 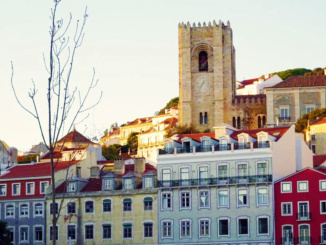 Today’s upper-class accommodations are profoundly different in the Lisbon landscape. The city itself takes a genuinely ancient style with many tiled walkways about. Many of these existing pavements are from the 1500s. About half of the people here speak fluent English. The other half speak Portuguese. 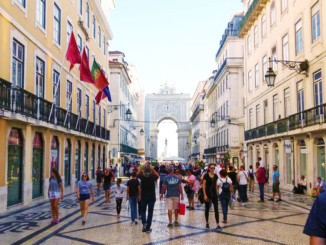 Portuguese is also popular in provinces like Brazil, Cape Verde, Mozambique, and Macau. 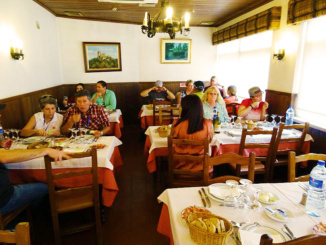 The guide also spoke about the various pastries made in the villages throughout Portugal. 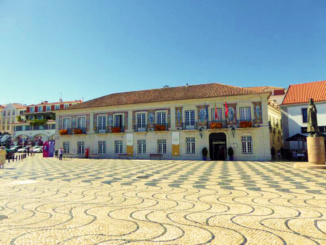 As we rode along the coast, we went through the resort town of Estoril. 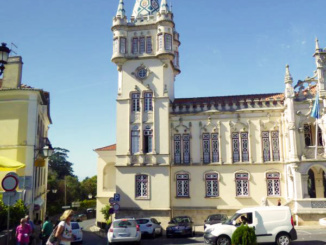 We learned that the Estoril Casino built in 1920, inspired Ian Fleming to write the novel, Casino Royal. 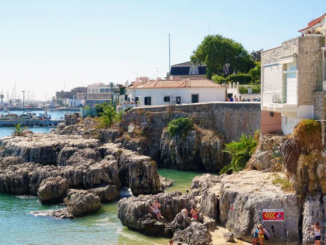 We arrived in the Portuguese resort town of Cascais; pronounced Cass Kai; at 11:50 am. 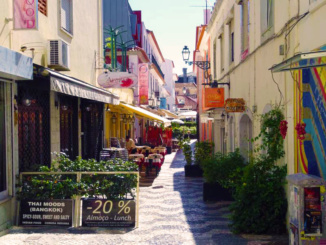 Cascais is a handsome little town, attractively laid out, and nearly flat. 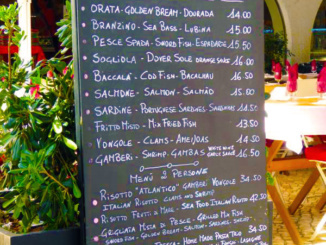 There were many restaurants and shops as well as two small beach alcoves complete with sunbathers. 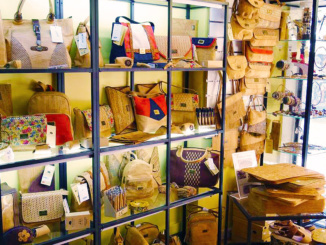 In the short 45 minutes of independent time allocated, we walked to the beachfront, purchased items at Mr. Cork; a reputable cork dealer, and strolled about the back streets. 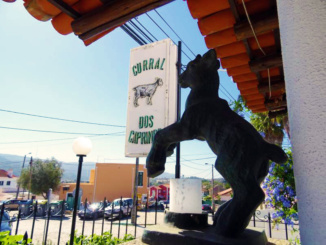 In this town, small apartments cost around $400,000. Our guide shared that a favorite food of the town is octopus served with sea barnacles. 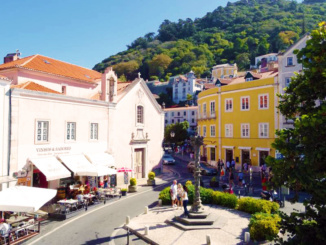 The bus departed Cascais at 12:45 pm and headed for our lunch destination just outside of Sintra. 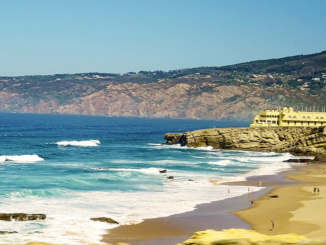 To reach this area, we drove along the superb beaches of the Estoril coast. 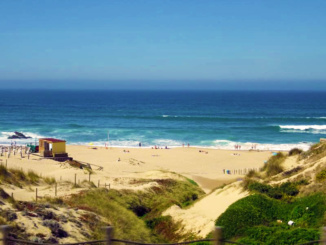 When the beaches ended, the terrain changed to dense greenery of small slopes and forests consisting of cork. We learned that the cork tree must grow about 20 years before its first peeling. Once peeled, it takes another nine years for the timber to recover itself for a second pealing. Paint marks the tree trunks to convey the date of last harvest. 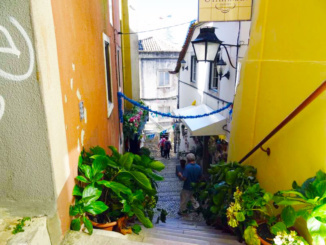 We arrived at the Curral dos Caprinos Restaurant in Sintra at 1:35 pm and continued upstairs to our seating. 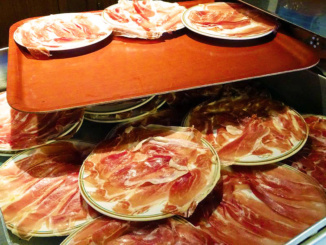 The service commenced with prosciutto, pitted olives, bread, and wine. The subsequent course was potato soup, followed by a beef and pork kebab, white rice and French fries. Desert consisted of a portion of almond pound cake. Lunch service lasted for 50 minutes. 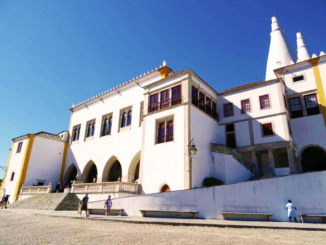 Departing the restaurant, it was a short ride to the central part of Sintra high up into the hillside. We arrived promptly at 2:50 pm and were dropped off near the Royal Palace, dating to the 1300’s. We had 45 minutes of independent time with no hope to see the Pena Palace; the most famously photographed palace, owing to the distance and time allocated. This was a huge disappointment for me. 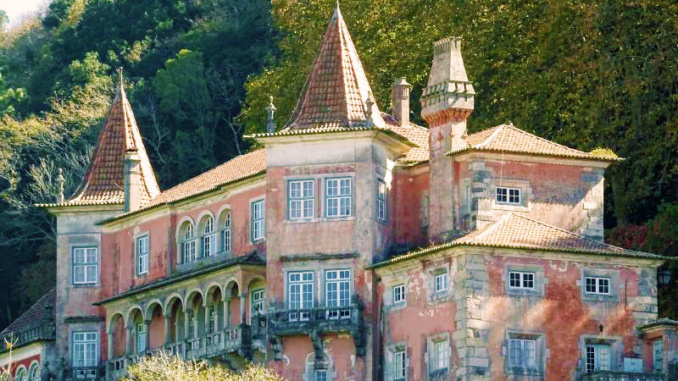 The concept for the famous Pena Palace came from the inspiration of a German prince. 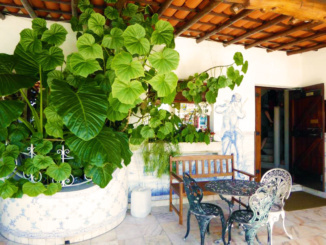 He had a romantic ideal of a palace composed of painted fortifications surrounded by exotic flora and mythological works. 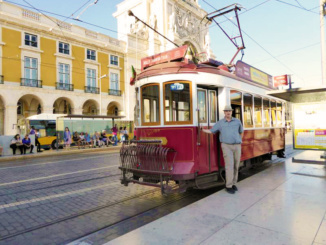 Subsequently we learned that a train from Lisbon to Sintra is merely 8 Euro and you hop a bus or tuk-tuk to the palace. For those who are adventurous and wanting to see the palace this may be worth investigating further. 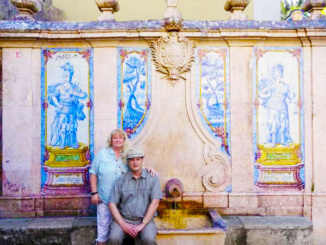 During our visit to Sintra, we took a few photographs and wandered around the hilltop town. 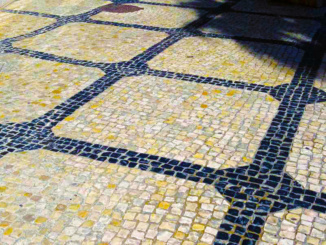 We recognized the same Mosaic floor tiles on the walkways as had been in both Lisbon and Cascais. There were many shops and restaurants to visit as well as some imposing buildings to photograph. 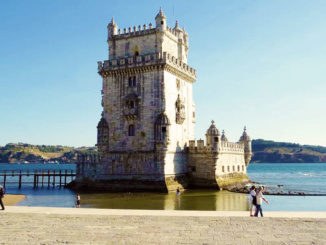 On the return drive to Lisbon, we stopped at the iconic Belem Tower arriving at 4:30 pm. We had 15 minutes of available time. 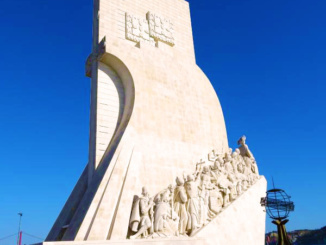 Next, we observed the monument for Portuguese explorers for 10 minutes. 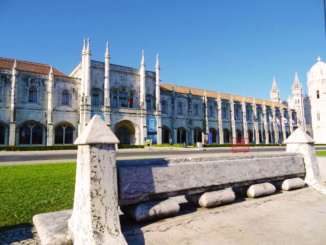 We then did a drive-by of the Portuguese Presidential Palace accompanied by a 25 minute outside view of Jeronimos Monastery. An unusual fact is that a beach used to stand in front of the monastery, but the earthquake of 1775 permanently reshaped the landscape. Now the frontage consists of a vast garden and is about one-quarter mile from the sea. We elected to get off our bus in Lisbon city center at 5:45 pm. However, you had the freedom to stay on the bus and return to the pier. 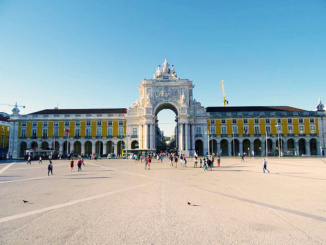 Once in Lisbon, we strolled the plaza’s for about an hour and ate a Danish at a local shop. The walk from the city center to the ship took about 30 minutes at a moderate pace. 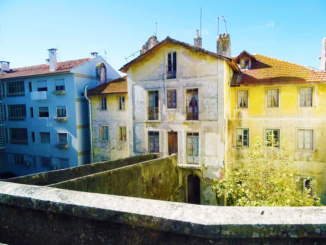 Editors Note: As there is limited time afforded on this tour to admire the locations visited, I would recommend taking along a town map of Cascais and Sintra to aid in exploration. This will surely assist you in discovering more in the time that is provided. This tour usually includes an inside visit to the Monastery, but sadly, we showed up on Monday which is the one day the Monastery is not open to the public.